Mr. K missed the Cinco de Mayo memo. In fact, he waited two whole days to "properly" celebrate. 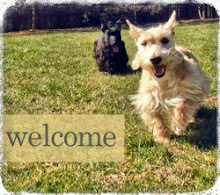 Tonight, it was Scottie Mom's turn to host book club and so the fur kids broke out their Scottie charm and entertained the guests while dinner preparations were being finished. Chicken quesadillas were being served - complete with a little cayenne and some pepper jack and cheddar cheeses. Mr. K was more than proud to walk beside Scottie Mom to present this perfectly laid out dish of triangle-cut quesadillas with crackers and dip in the middle to the guests. Much to his dismay, no quesadilla bits were accidentally dropped on the floor for him to enjoy. The food made it safely to the middle of the room and was placed on the ottoman that doubles as a coffee table. Scottie Mom laid out a number of dishes and gathered drinks for everyone. This is when Mr. K forgot his manners and decided he had missed out on the Cinco de Mayo celebrations for too long. He circled round the table, away from the guests so his head could blend in with the black ottoman as he raised it above the table and went in for the kill. First, he maneuvered his head to make it look like he was simply resting his chin on the edge and when no one caught on to his advancement, put his front paws up on the ottoman and snatched a quesadilla. All this in a matter of seconds. 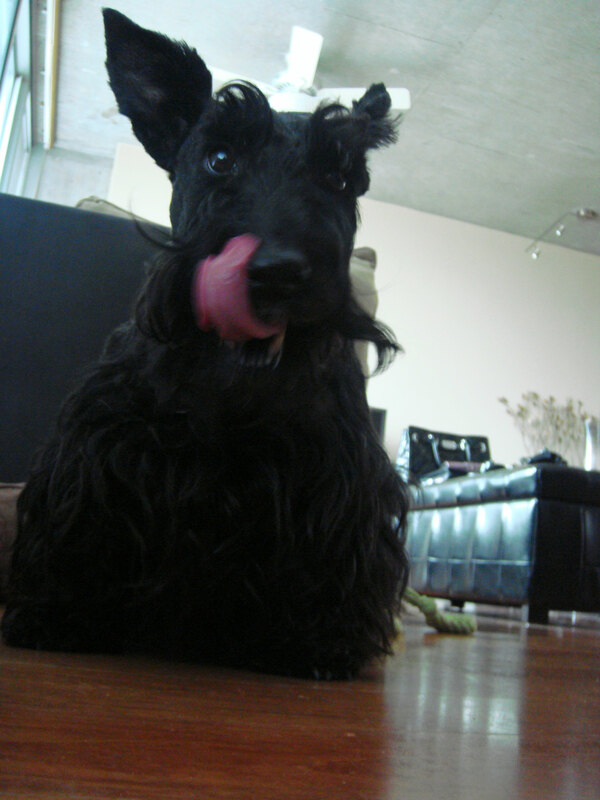 By the time Scottie Mom turned around with the last drink, Mr. K had chowed down on nearly half a quesadilla wedge. Scottie Mom was not pleased. Her near perfect presentation had offically been ruined and before any of the guests had been able to partake. 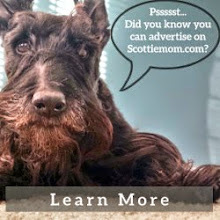 Mr. K's eyes met Scottie Moms as she discovered his wrongdoing and he stopped chewing in his tracks. She moved closer and started addressing Mr. K directly instead of chatting with guests. Mr. K, not wanting his Siete de Mayo fun to end just yet, snatched up what was left of the quesadilla wedge and attempted to run away with it. Unfortunately for Mr. K, the condo isn't very big and he wasn't able to stash the quesadilla or eat the remains before Scottie Mom got to him. The coveted quesadilla was confiscated and while he remained in the living room to play his part as life of the party, Mr. K had to rely on his charm and good looks to win over the crowd since Scottie Mom made it clear that the Siete de Mayo quesadilla snatching was his last comedic act of the night. Go K! I can't wait to see your retaliation for Ocho de Mayo. It was worth a try Mr K. 10 out of 10 for your efforts at snaffling. However, you must sort out your escape route next time so ScottieMom won't catch ya! So very sorry to laugh but that's just what Mr. K does to me! And as great as the photo is I see absolutely NO remorse on that face....or tongue! Am lovin' it! Woo hoo! Go Mr K!